Ever wonder how eyes can get red? 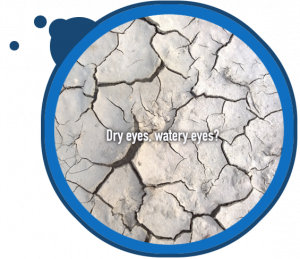 What causes that dryness and irritation along the eyelids? 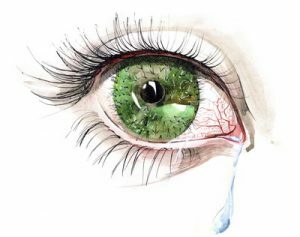 While many Texans blame these symptoms around the eyes on the sun or unbearable allergens around them, dry eye is a complex condition that can’t be pinpointed at one cause. At August Wallace Eyecare Associates, our eye doctor, Dr. August Wallace, has undergone extension training in treating dry eyes in Longview, where patients have gone from chronic dry eye patients to clear, comfortable vision everyday. Although eye drops do relief some symptoms like red eyes, conditions caused from evaporative dry eye will slowly worsen without addressing the underlying causes. While the information below will overview the basic causes, symptoms, and treatments behind dry eyes, the recommended approach is to schedule an eye exam with Dr. August Wallace. If you feel that your case of dry eyes hampers your ability to work or daily activities, then, depending on your plan, you may be able to apply your medical insurance to cover some of the costs. Dry eyes can creep up depending on a variety of factors, so taking an additional step in your nutrition by choosing specific foods or supplements will ensure better results & less dryness. Wallace Eyecare Associates can explain more.